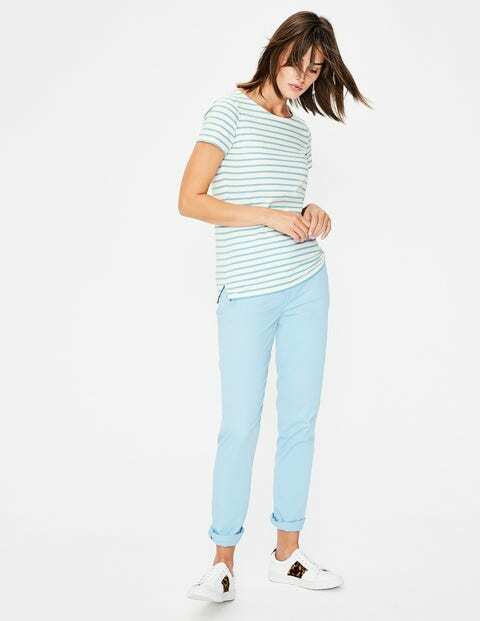 We consider our short-sleeved Breton the bread and butter of any woman's wardrobe. Not only does it share the same vibrant colours as its long-sleeved sibling, but it's also got that great longer hip-length you love. Invest now, and we guarantee you'll wear this everyday hero again... and again... and again... and (you get the idea).